Where are all the Gardener's Idea Books going? The national campaign consumers will see in their magazine this spring season will feature the national combination for the year. The national combination will also be featured prominently in our Gardener's Idea Book —which is sent to each consumer who responds to our advertising campaign. 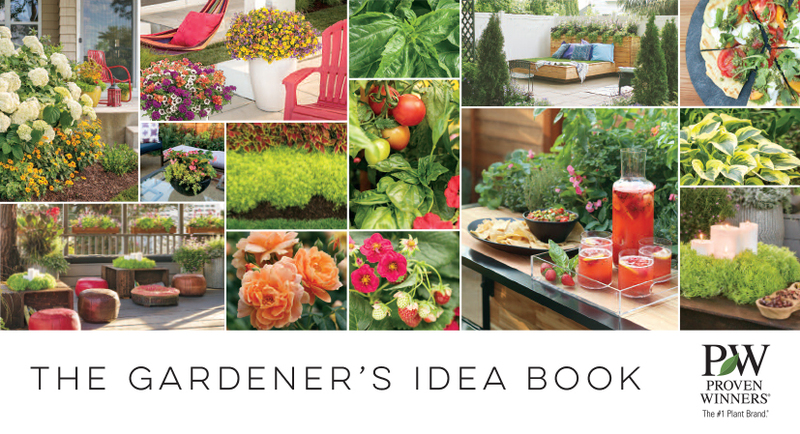 Last year 400,000 idea books were sent to gardeners throughout the US and Canada, in addition to being shared at gardening presentations, Master Gardener’s meetings, and at many other gardening events. Be sure to order the plants you’ll need to create the next national recipes for spring, summer and fall. Also check out our national recipes from previous years—these are other Proven Winners that will help your customers bring color to their homes all season long.